There’s a vast world of difference between a family movie and a kid’s movie. If you’re a) a parent or b) someone who spends a chunk of time around children, you know the difference immediately. But what is the difference? It’s a tricky concept, to be sure, and I think there’s a great deal of overlap between the two. I can hear you muttering under your breath, “Who cares? What difference does it make?” Here’s the thing about that, Disgruntled Reader Whom I Just Made Up — at some point in your life, you may be called upon to take a kid to a movie. Your enjoyment of the film may hinge upon whether or not you’re seeing a kid’s movie or a family movie. Do you really want to get blindsided by Alvin and the Chipmunks: The Squeakquel without first preparing yourself for the onslaught? I submit that you do not. For example, I think there are usually higher standards for family movies. Toy Story is a family movie because it’s made with intelligence and sophistication. It has something to say, and it has a wide range of jokes to tickle the funny bones of adults and kids alike. Despicable Me is a kid’s movie. Sure, it’s got some…okay, a lot of pop culture references designed to ease the viewing experience for Mom and Dad. But it doesn’t trust its audience, so it reliably keeps things simple. Disney films originally were meant for children. Sure, they were usually made with care and craftsmanship. * Children were meant to be the primary viewers. But after the success of The Little Mermaid, then Beauty and the Beast getting a nomination for Best Picture, Disney seemed to make more of an effort to make quality family films. They’re pretty good at it, and that streak continues with the sequel to 2012’s Wreck-It Ralph, Ralph Breaks the Internet. Six years after the events of the first film, best friends Ralph (John C. Reilly) and Vanellope (Sarah Silverman) have settled into a routine. They’re video game characters, and their days are spent working in their games at Litwak’s Arcade. During the evenings, they always hang out, and they’re often racing light cycles in the Tron game or pounding root beer within the bar at the Tapper game. Ralph is thrilled. He’s no longer forced to be a bad guy, he has a best bud, so why would he want anything to change? Vanellope is less thrilled, though. She’s beaten all three of the racetracks in her Sugar Rush game repeatedly, and she wants new challenges. Ralph creates a new handmade track, and things go disastrously wrong. A part of the Sugar Rush game is broken. If it can’t be replaced, the game will be shut down. What’s a poor video game avatar to do? A solution comes in the form of a new game. It’s called Wi-Fi, and it leads to eBay, located in the fabled land known as The Internet. Ralph and Vanellope embark on an awfully big adventure, and up to this point, the film is content to meander and feel like a bit of a rehash of the first film. Once they enter the dizzying online world, it snaps effectively into focus. Ralph wants things to go back to the way they used to be, and trend-queen Yesss (Taraji P. Henson) is his ticket to making it happen. But maybe getting that part isn’t so important, Vanellope thinks. Why go back to the tedium of Sugar Rush when she can go nuts in Slaughter Race, an open-world Grand Theft Auto-esque game that can give her the insane thrills she craves? She also gains the mentorship of Shank (Gal Gadot), the champion driver in Slaughter Race. The only downside to all of this is that it threatens her friendship with Ralph. I know, you might have seen the preview showing the characters interacting with real-world digital goliaths like Amazon and eBay, and thought we were in for a retread of the monstrously bad The Emoji Movie. Plus, sequels aren’t always good, and it’s a rare thing when a sequel is markedly better than the original. 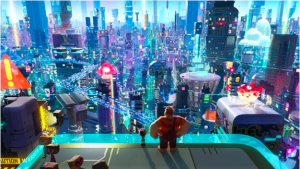 Fear not, because as much fun as Wreck-It Ralph is, there’s no doubt that Ralph Breaks the Internet is better — smarter, funnier, and with a message that resonates for kids and adults alike. Directors Phil Johnston and Rich Moore do an awful lot right. They have made a gorgeous film that’s absolutely stuffed to the gills with weird and perceptive details about our relationship with the online world. The mighty Bill Hader shows up in an uncredited role as J.P. Spamley, a working stiff popup ad, and the equally mighty Alan Tudyk is KnowsMore, a cerebral search engine obsessed with guessing the correct search results. These distinctive characters are found in a number of distinctive and beautiful environments made by talented digital artists. 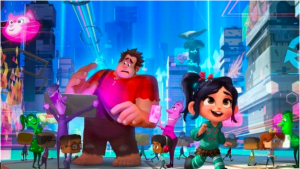 For my money, the primary reason to see the film is the subplot involving Vanellope going to Disney’s online presence. While there are characters from the Mouse House, Star Wars, and Marvel** that make an appearance, Vanellope’s interactions with the Disney Princesses are priceless. The scenes aren’t just incredibly clever and unexpectedly biting regarding the complicated legacies of these characters, Johnston and Moore have done it right by casting the princesses with nearly all of the original living voice actors. *** That attention to detail might not be necessary, but it’s appreciated. The same care has been exercised with the screenplay by Johnston and Pamela Ribon. Not only is their script relentlessly funny, Ribon and Johnston also make some very wise choices. Instead of a villain, the conflict occurs due to a change with Ralph and Vanellope’s friendship. 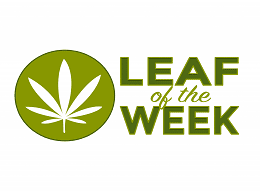 What happens when your friends want something different, something that could take them away from you? Additionally, they portray the internet as a place that boosts everything. A cute video becomes omnipresent. A snide comment becomes a vicious put-down, and the internet is a place where insecurities are publicly displayed. Back in the day, celebrities wouldn’t be caught dead doing voices in an animated film. That was true until they discovered they could go to work in comfortable clothing and get paid a truckload of money. Disney and Pixar have, for the most part, been smart by casting the right voice instead of just the voice of a hot actor. I have no idea if John C. Reilly and Sarah Silverman recorded their scenes together. Maybe it doesn’t matter since their chemistry is warm, funny, and they have a believable friendship. The only noticeable misstep is Gal Gadot’s Shank. While Gadot is a fairly solid performer usually, her vocal performance here feels flat compared to the rest of the cast. Too often, kid’s movies are designed to be cinematic babysitters, a way to keep the little whippersnappers entertained for a few hours. They often aren’t well-made, and the result is that they can be an endurance test for any parents caught in their unholy gravitational pull. 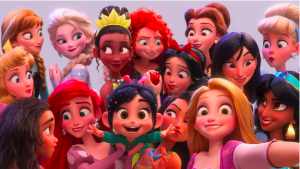 Ralph Breaks the Internet is different, a true family film that’s actually fun for the whole family. Trust me, you won’t regret taking your kids to this one. *So maybe that’s not always the case with Disney. Because for every Frozen there’s a Cars 2. **Including one unsurprising and bittersweet cameo. ***Mary Costa was the voice of Aurora in 1959’s Sleeping Beauty, and due to her age, she can no longer convincingly voice a teenaged princess.